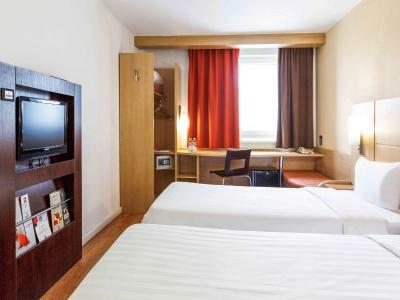 Lock in a great price for Ibis Kazan Hotel – rated 8.5 by recent guests! Check in and check out was easy and fast. Room was good. Complimentary water is always nice. If one cares about the view try getting one facing the river. The location was great for my needs. Close to anything i needed. About 10 mins walking distance to most places. Though you can get a cab and get anywhere in 10 mins. The staff is very welcoming, the bar downstairs works 24 hours and you can get hot water for tea there anytime. 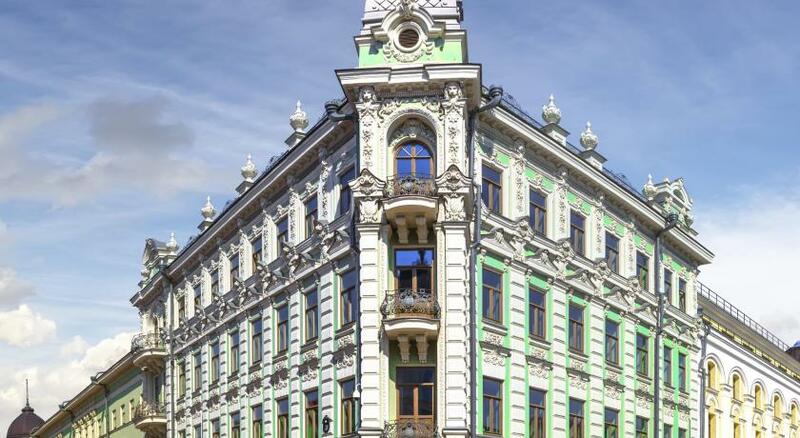 Hotel is nicely located close to the main pedestrian street and Kremlin and is a good start for exploring Kazan. 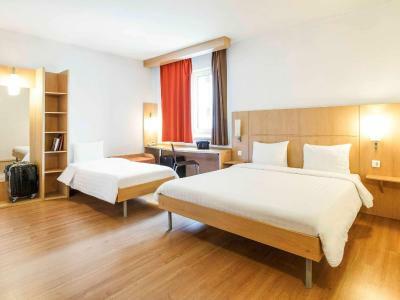 small, clean convenient room, located in the very centre 2 min from ulitsa baumana, 10mins from the kremlin, within walking distance from the railway station (15mins), 400 RUB by uber from the airport. The room was clean and the location was very good. The hotel is near the pedestrian zone of Kazan. The room is clean and convinient. 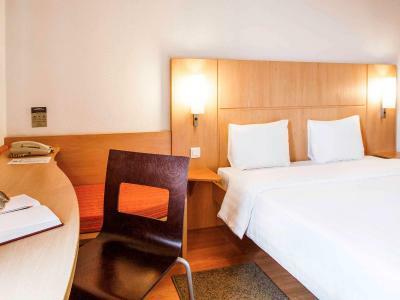 Ibis Kazan Hotel This rating is a reflection of how the property compares to the industry standard when it comes to price, facilities and services available. It's based on a self-evaluation by the property. Use this rating to help choose your stay! One of our top picks in Kazan.Ibis Kazan Hotel is located right in the city center, a 5-minute walk from the Kazan Kremlin. 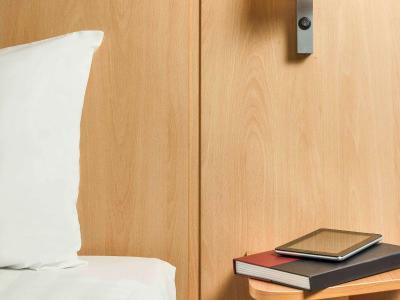 It offers contemporary guestrooms with free Wi-Fi connection, satellite flat-screen TVs and a work desk. 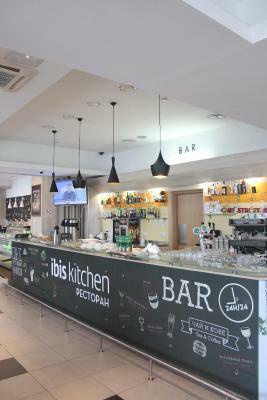 A selection of Tatarstan specialties and international dishes is served at the restaurant of the Ibis Kazan Hotel. Guests can also enjoy an assortment of drinks and spirits in an informal environment at the ‘Rendez-Vous’ bar. The hotel provides a 24-hour reception that can help you to discover Kazan attractions, including Lake Qaban and Nurulla Mosque. Kazan International Airport is 30 minutes away by car and aeroexpress train. Private and covered parking is limited, for an extra charge. Parking could not be reserved on site. 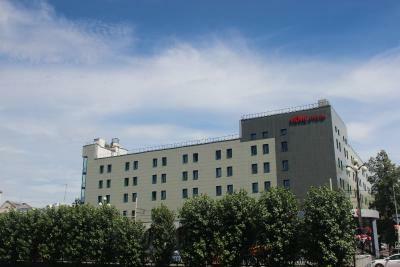 When would you like to stay at Ibis Kazan Hotel? Convenient location, right in the centre of Kazan, is just one of the advantages you will get during your stay in our hotel. Our friendly staff will help you with any questions or requests you may have and our tasty breakfast will be a good start of the day. Come and see for yourself. 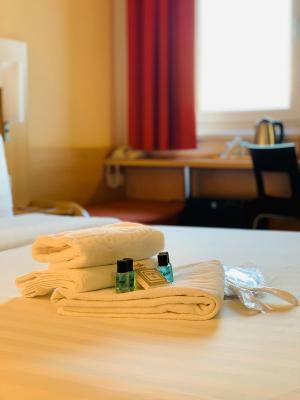 House Rules Ibis Kazan Hotel takes special requests – add in the next step! Ibis Kazan Hotel accepts these cards and reserves the right to temporarily hold an amount prior to arrival. Russian guests are kindly asked to present a national passport at check-in. Children 14 years and younger are kindly asked to present their birth certificate. Guests 18 years and younger are requested to have a notarized power of attorney from one of the parents allowing them the stay at the property. Foreign guests need to provide a passport with a visa and migration card. Please note that pets 6 kg and less can be accommodated at RUB 500 surcharge per day. Guests are kindly asked to present documents for the pet upon check-in. I wish the room was preheated when i arrived. It was a cold day and it took a while to warm it up. Staff, registration process, no room service. 1./ No Face towels for sink & shower ! 2./ No bar soap just liquid soap. weak and slow wifi connection in my room. extra charge for breakfast. no slippers.